The mosquito midgut is hostile to Plasmodium parasites and acts as a bottleneck to their development within the Anopheles gambiae mosquito. A recent investigation of gene regulation and protein in mosquitoes identifies previously unrecognised mosquito factors. The full version of the paper is in production, but the announcement will interest biologists who want to learn how to exploit nature in the fight against malaria. If you need to explain away how quickly time disappears, try clicking on malaria matters. There is a logic to mosquito names. No, the Micrognome hasn’t disappeared in a circular argument; a confusion of etymology with entomology. Far from it. Back from his recent travels in the Kimberley and following his nose, or maybe even his proboscis, he discovered a treasure trove of biological naming words today. For those with the time to look, layer upon layer of knowledge has been wrapped up in the names given to all those thousands of mosquito species (how the mosquito got is name). There is a truly wonderful catalogue of Anopheles mosquito nomenclature in which both entomologists and etymologists can lose themselves for many hours on a slow Sunday afternoon. 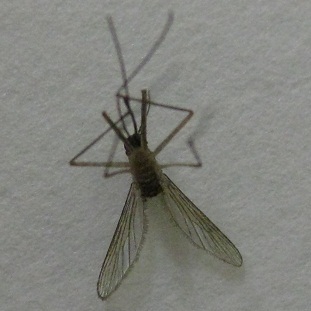 Now here’s a thought to reward the careful reader who takes the trouble to get to the bottom of the page; if we were true to the Spanish origin, the plural of mosquito would be ‘mosquitos’, and not the Anglicised mosquitoes we normally use.